climateye.org was ecoSanity.org, which from 2007 through 2011 operated as an independent, hard truth, environmental / social justice, volunteer activist / advocacy initiative based in Toronto, Canada. Since 2012, Founder Glenn MacIntosh stepped back from public activities, volunteer organizing, group facilitation and video / stills / design services to concentrate on research, compilations and online advocacy. climateye’s focus is the clear, present, accelerating global emergency of the climate (energy / population / democracy / justice) crisis and the unprecedented threat posed RIGHT NOW to the survival of most life THIS century. 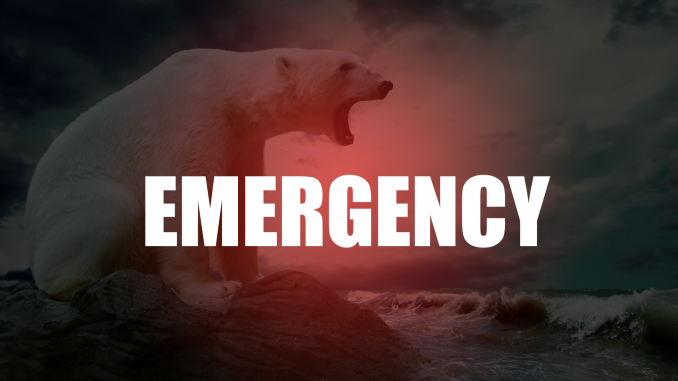 climateye advocates for EMERGENCY worldwide mobilization at EMERGENCY (world war-time, survival or mass extinction, transwarp) speed to restore our rapidly destabilizing global climate to the safe balance that allowed us to evolve. Difficult as it is to communicate, absorb, process, accept, and as shrill / alarmist as it may sound, our shared atmosphere is on an accelerating course to reach a state of potentially unsurvivable, global climate extremes during the lives of today’s children and teens. To deny this is to deny reality. But if we take the decision / path to see AND face the true, existential wickedness of our now-shared, undeniable, inescapable predicament, there will at least be possibilities. Perhaps even some we haven’t imagined yet. climateye is an urgent call to action for each of us to learn the basic science, spread the word, organize and mobilize to effect immediate, responsible, expansive political / social / economic / ecological reform on a massive scale.